Bootlace sand eels appear early season and are the smallest of the UK sand eel at around 3″ long. 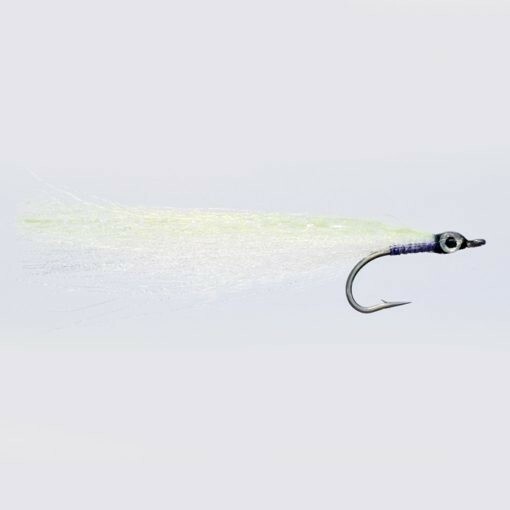 This grey version works in all light conditions and the great thing with this smaller pattern is that you can fish 2 of them on a cast – a proven method that seems to trigger a reaction from the fish. Looking to buy some Chris Ogborne Salt Water as part of a fishing gift? If you would like some advice on purchasing Chris Ogborne Salt Water, simply contact our expert fishing team, giving us either an email or phone number on which to contact you and we'll get back to you right away with the best advice and prices. FREE Delivery on all Turrall Chris Ogborne Salt Water over £100!! !